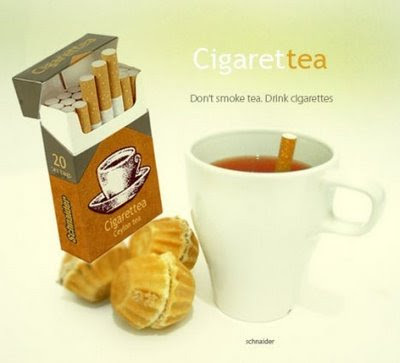 I like this idea, is very clever.As you can see in the picture there is a pack of cigarettes, and you anytime can take one and make a tea. If someday you see in some cafeteria a gentleman putting a cigarette in its cup, to remove it and to berber it to it, you do not take it by crazy person. The effects would be contradictory.